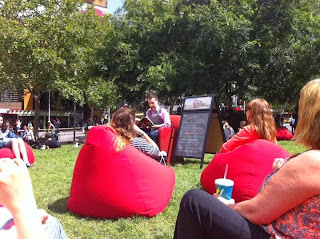 I had a great time reading from Blood Witness at the State Library of Victoria. 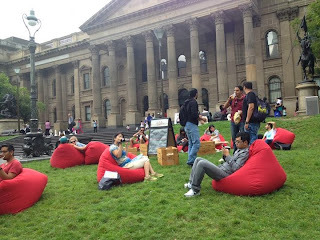 The weather was excellent as were the conversations I had with people during the day. 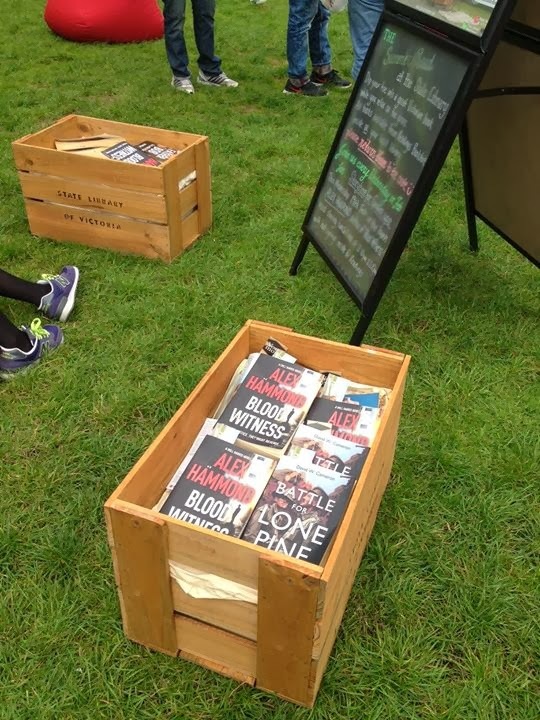 I particularly enjoyed the set up with its book crates, A-frames and beanbags – it really utilised the lawns in front of the library in an interesting and attention grabbing way.